Routers typically can create at least two different networks, one for private use and one for guest access. Routers also connect multiple networks and forward packets destined for its own or other networks. All of your devices (laptop, phone, tablet . . .etc) therefore talk to the router, and the router in turn connects to a modem and protects your devices with a firewall. Although your router does not store information, sensitive information passes through it when you access various online accounts and services, and this data can be compromised if your router is hacked. A compromised router can also be used to attack other devices on your local network such as your phone, tablet, laptop or smart devices, and can be used to launch denial of service attacks. the router provided by your ISP is a separate device vs. single device (known as a “gateway”) which contains both the modem and the router. you can bring your own device onto the network. all available ISP provided services will work with the router you’re considering. the router you purchase will continue receiving firmware updates (product life cycles are often short, so you want to be sure that you’re not purchasing an end of life product). The primary recommendation is that you change the default administrator username and password that comes with your router. For instructions and other recommendations for your home setup, please see the following article from the NJCCIC, How to Configure and Secure a Home Wi-Fi Router. A supplemental recommendation is to periodically reboot your router as some malware strains will not survive a reboot. Go to an internet browser on one of your connected devices. If you see unfamiliar connected devices, you can change/reset your WiFi password. 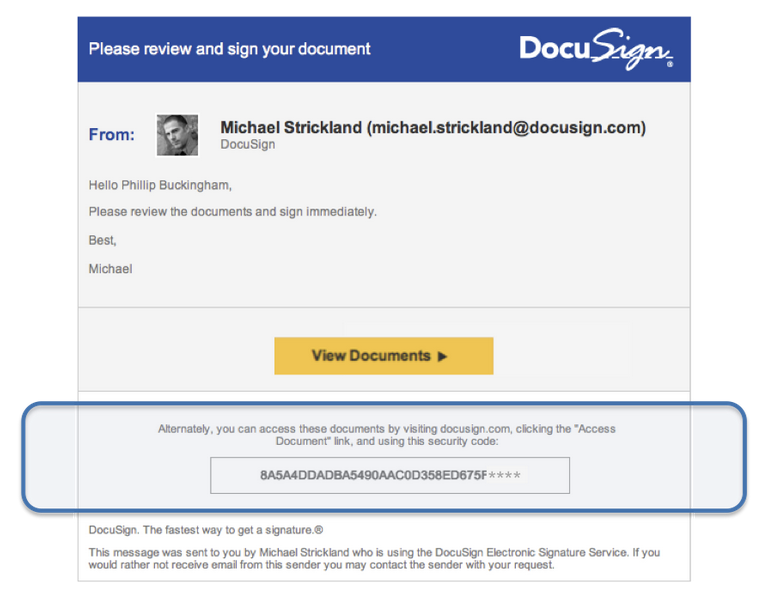 DocuSign, a service used to share, distribute and electronically sign important documents has detected an increase in phishing emails sent to customers/users. The recent phishing campaign delivers unsolicited email with either an embedded URL or an HTML, PDF or Word attachment redirecting users to a spoofed login page designed to steal login credentials. Compromised DocuSign credentials could cause the exposure of financial and other types of sensitive/confidential information. Never open unexpected attachments or provide account credentials via embedded links in unsolicited email. Before opening an unexpected attachment, verify the legitimacy of the message/sender via a phone call or another means of communication that does not rely on information appearing in the message received. Instead of clicking on an embedded link to enter your credentials, go to the organization’s secure website to enter your credentials. Enable MFA (multi-factor authentication) on all accounts for which it’s offered. MFA will protect you from the results of phishing or credential compromise by requiring a second layer of authentication via a device that you possess (e.g., a smartphone, cell phone, landline . . .etc)..
For information on NYU MFA, which protects your sensitive information on NYU systems, please click here. summarizes the incident and supplies an updated listing of vendor patches, mitigation strategies and updates. A glitch in the pre-installed Samsung Messages texting app appears to be sending photos from Samsung Galaxy phones to random user contacts without their knowledge or consent. Further, there appear to be no records of these transmissions in sent folders. Affected users have become aware of the issue after recipients respond to the messages received. Select Permissions, and move the Storage toggle to disable or off.